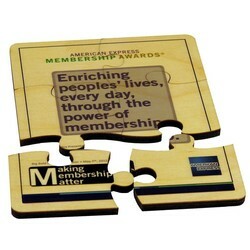 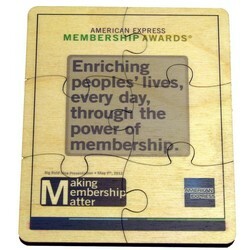 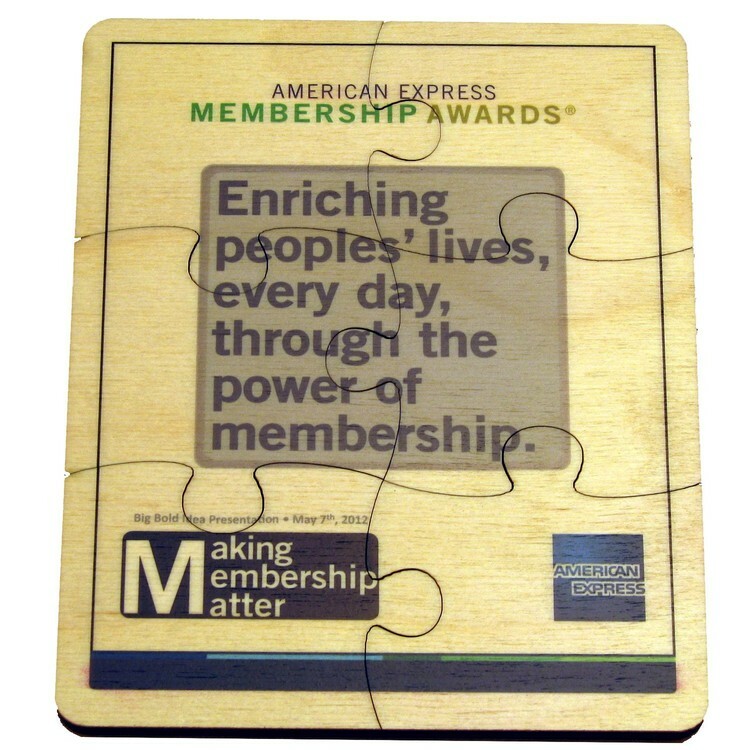 Laser engrave or 4-color process digitally print your message or logo onto the fully interlocking wood birch puzzle pieces. 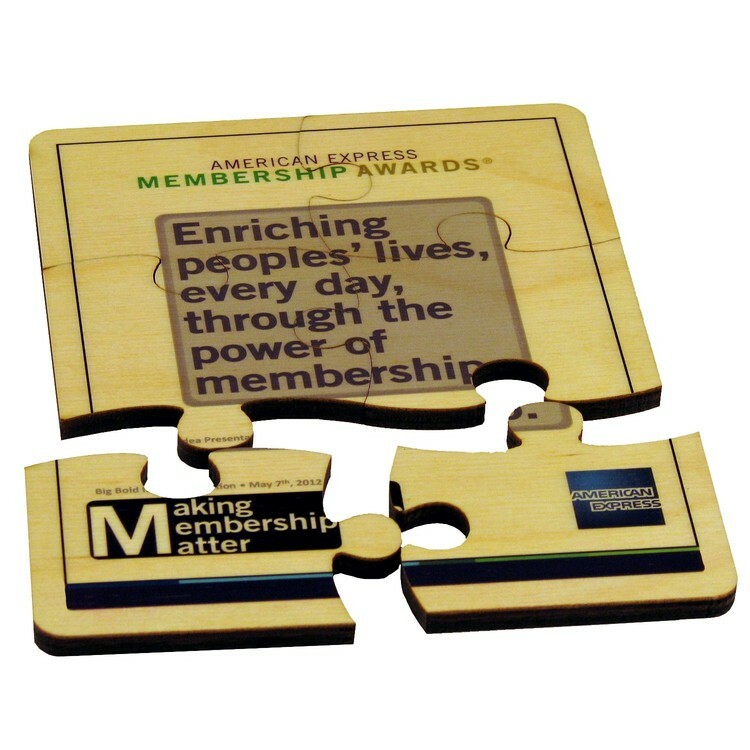 These ply puzzles come in two sizes (see also 1307-67) and you select how many puzzle pieces you want cut (4, 6, 8, 9 or 12 pieces for this size). These puzzles are excellent tools for team building, communicating organizational missions, philosophies, goals and objectives and delivering inspirational messages. 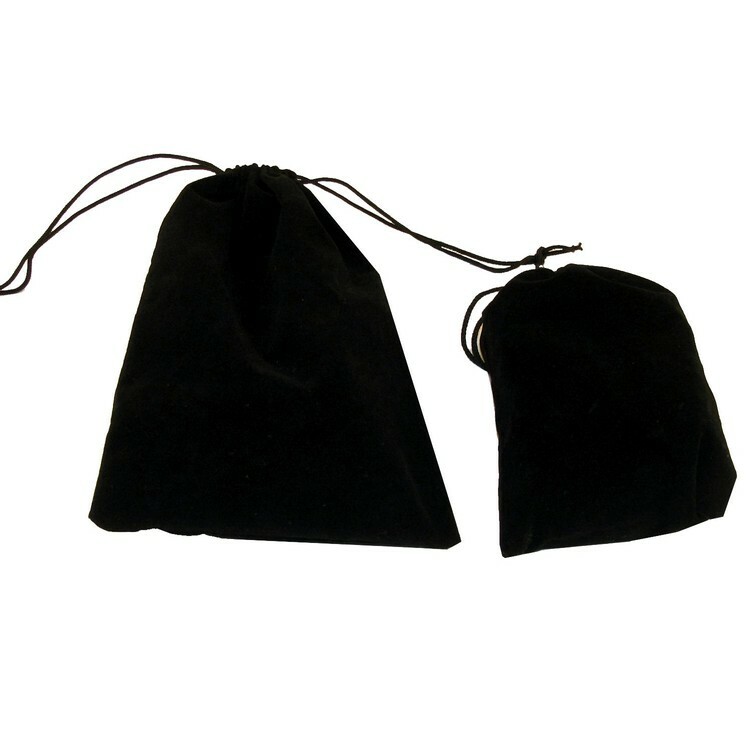 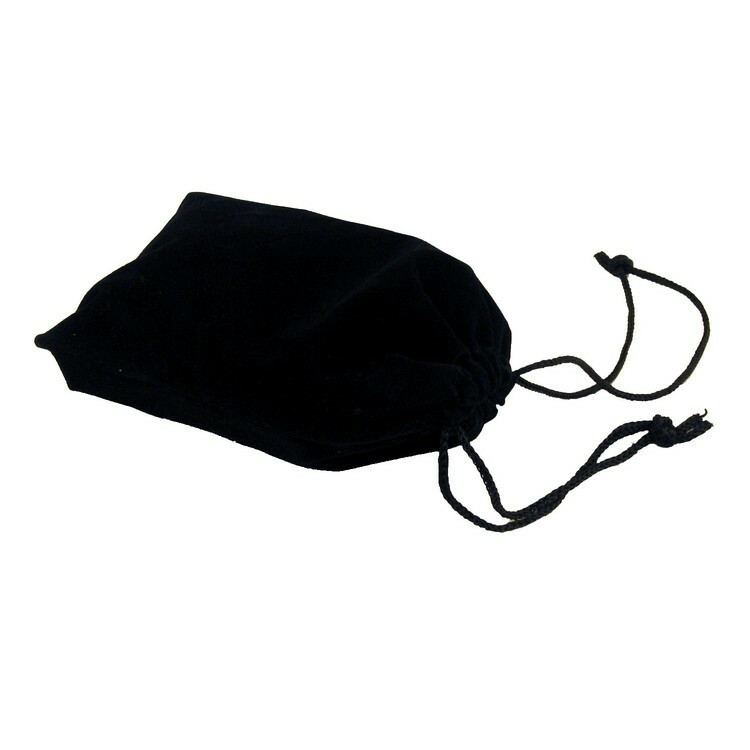 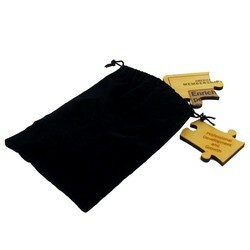 4 3/4 x 5 3/4 x 1/4"
Price includes laser engraving or 4-color process print and black velveteen pouch. 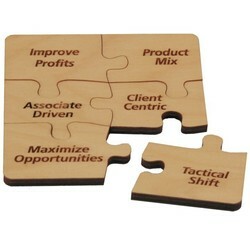 Ad copy area: 4 1/4 x 5 1/4"